Dozens of suspected Nazi criminals have collected millions of dollars in Social Security benefits after they were deported from or agreed to leave the United States, according to an investigation. A group of Hitler followers, some of whom still alive in Europe and receiving Social Security checks, were given the benefits as a bargaining tool to leave the US voluntarily, a two-year investigation by the Associated Press has found. According to the shocking report released on Sunday, former death camp guards and SS soldiers collected more than $1.5 million in retirement funds after being deported from the US decades ago. A few of them continue to receive up to $1,500 a month in Social Security, living their golden days in Europe. The Justice Department has rejected the report. Justice Department spokesman Peter Carr said in a statement. But the AP investigation has found that the US government asked the war criminals to leave the country to face prosecution abroad, in return for a continued Social Security. 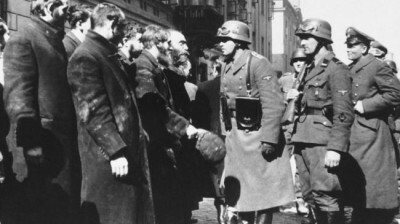 An analysis of the report showed that at least 38 of the 66 Nazi guards removed from the United States were allowed to keep their Social Security benefits. Only 10 were prosecuted for war crimes in Europe. Rep. Carolyn Maloney (D-Manhattan) said he plans to introduce new legislation to close the legislation loophole. “It’s absolutely outrageous that Nazi war criminals are continuing to receive Social Security benefits when they have been outlawed from our country for many, many, many years,” Maloney said. Image: Jakob Denzinger looks from his apartment window in Osijek, eastern Croatia, in this July photo. 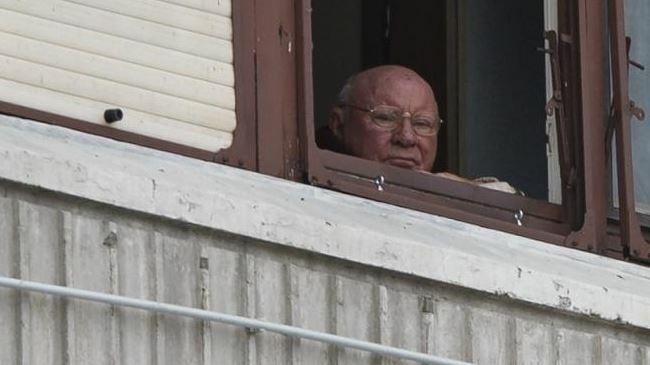 A former Nazi guard at the Mauthausen, Sachsenhausen and Auschwitz death camps, he now lives comfortably on a Social Security payment of about $1,500 a month. Former Auschwitz guard Jakob Denzinger was one of the people who was asked to leave the US with the promise of a continued Social Security. He owned a successful plastics company in Ohio before he was tracked down in the late 1980s. Denzinger, now 90, settled in Osijek, Croatia, and now receives $18,000 in US checks every year. “I don’t want to say anything,” Denzinger said when confronted by reporters.